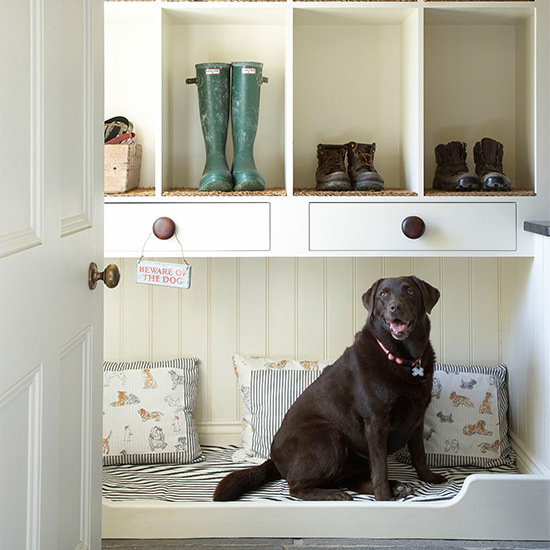 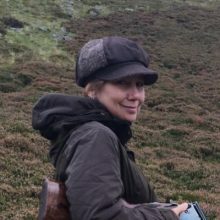 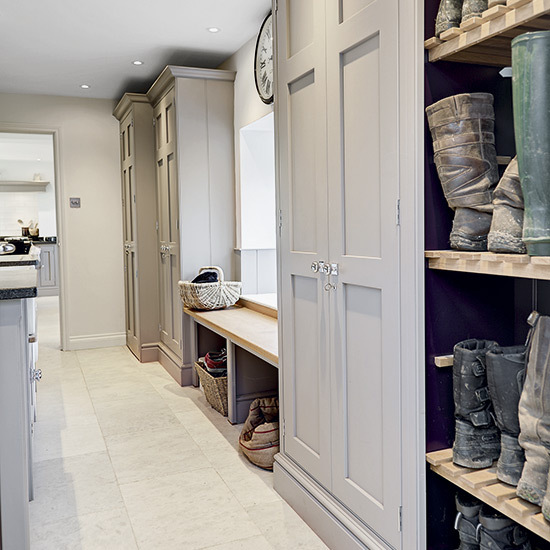 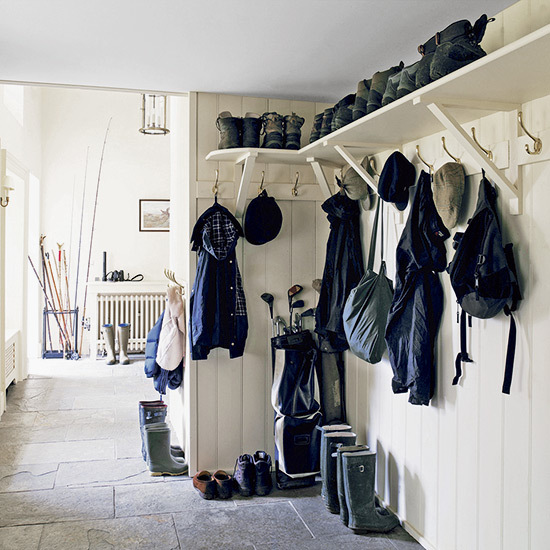 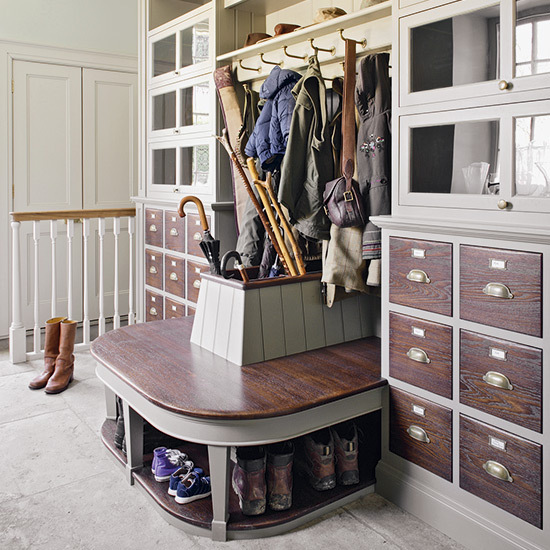 ‘Boot rooms are increasingly popular and provide an easy and comfortable transition from indoors to outdoors, and vice versa,’ enthuses Mowlem & Co’s design director Jane Stewart. 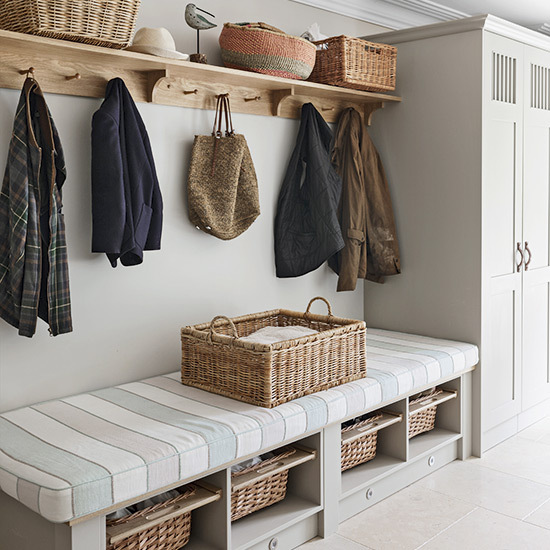 ‘For extra ease, we always recommend built-in bench seating, preferably topped in a comfortable cushion, covered in a washable, durable fabric. 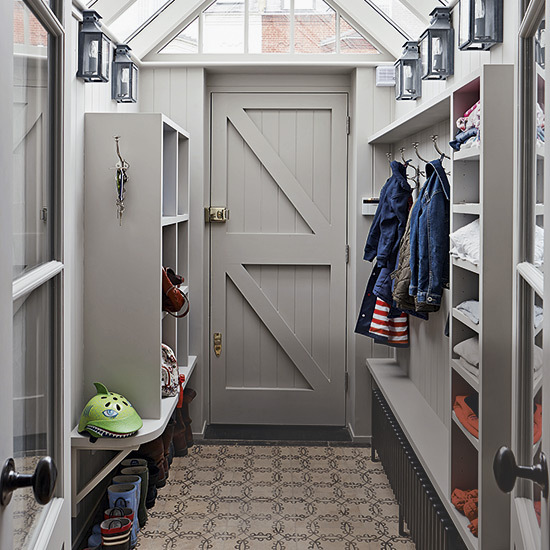 Not only will you enjoy a handy spot to remove your own shoes, and help children with their laces, but the space underneath can also be used for extra storage.